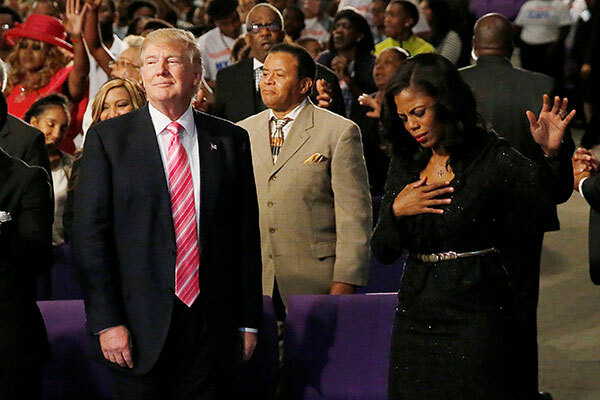 Trump’s Tactic To Attack Black People And Women: Insult Their Intelligence! Donald Trump has an endless and varied supply of insults and playground taunts to hurl at opponents but appears to have a one-track mind when it comes to African Americans and women.An analysis of the Trump Twitter Archive website shows that the US president has used the words “dumb” or “dummy” 236 times since 2011, and on 14 occasions since becoming taking office in January last year. He has targeted men and women, black and white. Perry is now energy secretary. In 2015 he also wondered why the Washington Post has “low IQ people” and suggested that Governor Rick Perry of Texas “should be forced to take an IQ test”.But his attack on Waters’ IQ is by far his most sustained. Michael Cornfield, associate professor of political management at George Washington University in Washington, said: “The strategic value is obvious: Waters is a quadruple-category demon to please Trump’s base, being black, female, leftist and aggressive in her own rhetoric. Should the Democrats take control of the House, Waters is first in line to become chair of the financial services committee. She’ll subpoena his financial records before the sun goes down on the first day of the new session.”As for “dumb”, a word that seldom passed the lips of past presidents, it is clearly one of Trump’s favourites. Five years ago, long before his attack on Lemon, he anointed the TV host and comedian Bill Maher “the dumbest man on television”. Earlier this year he wrote of the former FBI director James Comey: “He’s either very sick or very dumb.” He has come up with myriad other insults for Comey, often not related to his mental capacity. Yet Trump has now called Lemon “dumb” three times, most recently last week. when he also took a swipe at an African American basketball player: “Lebron James was just interviewed by the dumbest man on television, Don Lemon. He made Lebron look smart, which isn’t easy to do. I like Mike!” The controversial post has been retweeted nearly 50,000 times, far more than any other Trump use of “dumb”. “Referring to African Americans as dumb is one of the oldest canards of America’s racist past and present: that black people are of inferior intelligence. 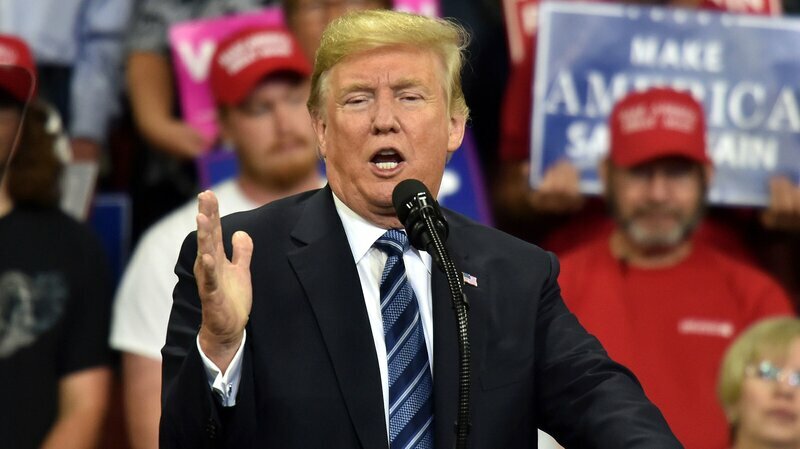 This president constantly denigrates people of color and women.”Trump’s attacks on African Americans come in the context of his past as a proponent of the “birther” movement, questioning whether Barack Obama was born in the US, his moral equivocations over white supremacist violence in Charlottesville, Virginia, a year ago and the dominance of white men in his political and judicial appointments. “I believe that the fact that he so often attacks the intellectual capacity of women and minorities exposes a racial and gender bias, one that has a long history and a wide acceptance.”Indeed, Trump has reserved some of his most personal, gratuitous and outrageous insults for women. He wrote of Kirsten Gillibrand, Democratic senator for New York: “Someone who would come to my office ‘begging’ for campaign contributions not so long ago (and would do anything for them)”. He said of the then Fox News host Megyn Kelly there was “blood coming out of her wherever”. Whilst advertising revenues across the media are still falling fast, more people are helping to fund The Guardian’s independent, investigative journalism than ever. Which means we now stand a fighting chance. But we still need your help.The Guardian is editorially independent. Our journalism is free from commercial bias and not influenced by billionaire owners, politicians or shareholders. No one edits our editor. No one steers our opinion. This is important because it enables us to give a voice to the voiceless, challenge the powerful and hold them to account. We keep our factual, honest reporting open to all, not just for those who can afford it. And we want to keep it that way, for generations to come.If everyone who reads our reporting, who likes it, helps to support it, our future would be much more secure.